White House chief of staff John Kelly may soon become the latest high-ranking member of President Trump’s inner circle out of a job. Trump is mulling replacing Kelly with one of a number of candidates, with Nick Ayers, chief of staff to Vice President Mike Pence, having the inside track, White House sources told NBC and the Wall Street Journal. 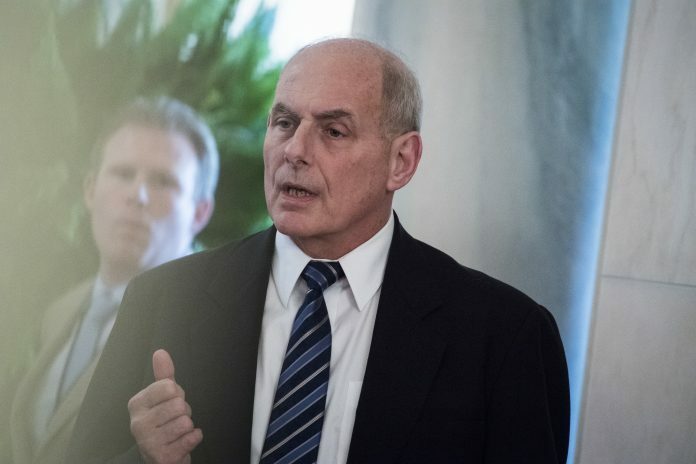 Kelly, Trump’s chief of staff since July 2017, has reportedly been on the hot seat amid friction with several members of the West Wing staff — including the first lady and Trump himself. Another undocumented article by the enemy of the people. Mainstream media: making news, not reporting it.